Tanzania has developed into one of Africa’s top tourism hotspots, with the country home to a diverse range of attractions that means it appeals to pretty much everyone. We’re going to give you the lowdown on the attractions in Tanzania if you head here on holiday. If you love nothing more than taking on a physical challenge, climbing Mount Kilimanjaro is certainly for you. This is the highest peak in Africa, as well as being the world’s tallest freestanding mountain at 5,895 m above sea level. There are various itineraries for climbing Kilimanjaro – you can see some examples here – but you should plan to leave at least six days for the ascent and descent. You’ll have to choose between one of six routes for your climb, and some are definitely better than others. The Rongai and Shira trails are both beautiful and less crowded than the likes of Machame and Marangu, while Umbwe is only recommended for very experienced mountaineers. This is a wonderful way to see one of Tanzania’s most important and spectacular landmarks, not to mention that the views from its summit are truly breathtaking. Not only can you see for miles over the plains below, but you can also see the curvature of the earth from this height. Tanzania is a real wildlife lover’s paradise and is home to all manner of exotic animals. There are various national parks dotted around the country where you can have a memorable safari, including the world-famous Serengeti. All of Africa’s big five (lions, elephants, buffaloes, leopards and rhinos) can be seen in Tanzania, with the wildebeest and zebra migration through the Serengeti arguably one of nature’s most spectacular sights. An alternative safari destination is the Ngorongoro Crater, where you can not only see an array of flora and fauna, but also another impressive natural formation. In fact, this is the largest unbroken caldera on the planet and there are excellent wildlife-watching opportunities within the crater itself, as well as in the nearby Olduvai Gorge. With so many wonderful inland attractions, it is easy to forget that Tanzania actually borders the Indian Ocean and there are some stunning coastal locations you can visit as well. One of the best is undoubtedly the islands in the Zanzibar archipelago, which is located just offshore. Come here and you can look forward to white-sand beaches fringed by palm trees – the perfect way to unwind after tackling the Kilimanjaro climb. Snorkelling and scuba diving are both popular, due to the abundance of life in the sea, while simply relaxing in the sun with a good book is another option. 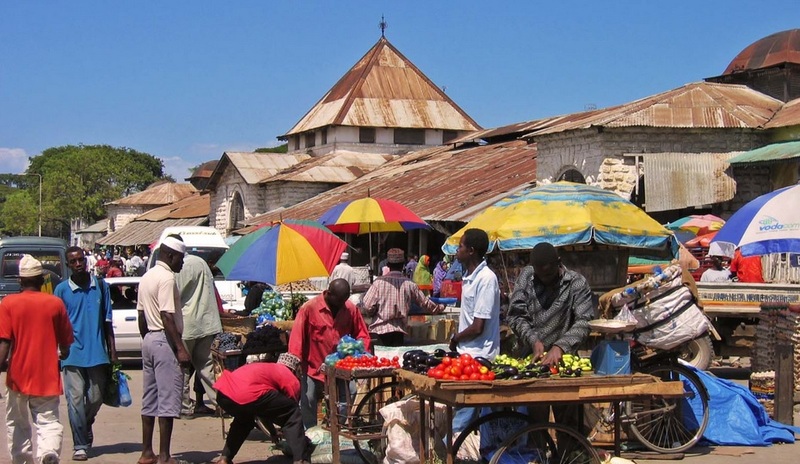 Another reason to visit Zanzibar is to explore its historic capital, Stone Town. This fascinating city has a rich and varied cultural heritage, having been occupied by several European powers and the Omanis, as well as displaying a distinct Swahili influence. This convergence of cultures has a dark origin, however, namely the slave trade. Stone Town was one of the main slave trading ports in East Africa and it rose to particular prominence in the 18th century with thousands of people being shipped off to the New World from here – there are reminders of this dark past within the city, if you wish to seek them out. One of the most fascinating things about Stone Town is its mixture of architectural styles, with the original Swahili-style homes being embellished by the Europeans, Arabs and later Indian migrants to the island. Welcome to Home Town Travel Guides.com! The Nile River has in fact frozen twice in recorded history, once in 829 AD and again in 1010 AD.